Today, Cannes is known as one of the most iconic and prestigious cities in the world, attracting many of the world’s top celebrities every year. Something that has contributed making Cannes into what it is today, and giving it the reputation that it now has is the Cannes Film Festival. The Cannes Film Festival, previously known as the International Film Festival of Cannes until 2002 is one of the most well-respected and prestigious film festivals of the whole year, which film-makers and actors dream of winning. The Cannes film festival is a film festival that is held annually in Cannes, France, normally in May, dedicated to previewing new films of all genres, from all over the world, including documentaries. The festival takes place in the Palais des Festivals et des Congrès in Cannes, the festival and congress building. On the first of July in 2014, the head of French pay-TV operator Canal+, Pierre Lescure took over the festival as President, and Thierry Fremaux became the General Delegate. The board of directors of the Cannes Film Festival also includes Gilles Jacob as Honorary President. In 2017, the festival had its 70th anniversary, which took place between 17 and 29 May. In 2017, the movie The Square won the Palme d’Or, directed by the Swede Ruben Östlund. The Cannes Film Festival is a well-respected film festival all over the world, and winning the price Palme d’Or is considered one of the most prestigious, if not the most prestigious award you can win as a film director. The festival’s reputation can be compared with the Oscars. The purpose of the Cannes Film Festival is to create a platform for which upcoming directors and performers of all nationalities can get credited for their work of creating amazing movies. There is no other film festival in the world of this size which celebrates this many film genres from all parts of the world. It’s important to point out that the festival is not only an award ceremony. In fact, the Cannes Film Festival also premieres screenings of the films that are competing in the main category for a Palm d’Or, as well as films that aren’t competing, throughout the week of the event. This contributes to making this event the perfect go-to event for film lovers and journalists to visit. When does the Cannes Film Festival take place? The time of which the Cannes Film Festival takes place differs from year to year, but normally, the film festival takes place sometime in May. This is a time when the weather on the French Riviera is absolutely magnificent, and the risk of rain is minimal. For the 71st edition of the Film festival, the event starts on the 8th of May and ends on the 19th of May, taking place at the Palais des Festivals et des Congrès, in Cannes, France, the place where the event is arranged every year. The Cannes Film Festival has its beginning in 1932. One the proposal of historian Philippe Erlanger and with the support of the British and Americans, Jean Zay, who was the French Minister of National Education, set up an international cinematographic festival. The origins of the Cannes Film Festival can be attributed to the French desire to compete with the Venice Film Festival. This was a festival which had an immense shocking fascist bias. The first edition of the film festival, which would become what you know now as the Cannes Film Festival was planned for 1939, and Cannes was chosen as the location for the event. However, the funding for the event was insufficient, and then, the plans of a film festival failed as a result of the start of World War II. The idea of a film festival in Cannes was never forgotten, though, and on the 20th of September 1946, 21 countries presented their films at the edition of the Cannes International Film Festival. The first edition of the film festival did not, however, take place in the Palais des Festivals et des Congrès, instead, it took place at the former Casino of Cannes. In 1947, despite huge problems, the festival was arranged and held, then named the “Festival du film de Cannes. Here, films from sixteen countries were presented. On the years of 1948 and 1950, the Cannes Film Festival wasn’t held due to budgetary problems, but in 1949, the Palais des Festivals was constructed for the occasion, right on the seafront of the promenade, but La Croisette was still unfinished, and during a storm, its inaugural roof blew off during a storm. Furthermore, the festival was moved to be held in spring to avoid a direct competition with the Venice Festival which was held in autumn. Still, to the day, the event is held during spring. Between the 1950s and the 1960s, the film festival saw lots of tourism and gained plenty of attention from the press. More and more world-known celebrities and film stars made their way to the Cannes Film Festival, which increased interest in the event, and moreover, showbiz scandals and high-profile personality love affairs also increased interest for the festival. During this period, the film festival also started evolving, much as a result of controversies over the selection of films that won the price. This lead to the ”the Critics’ Prize” being created, which was created in order to recognize original films and daring filmmakers. In 1954, the Special Jury Prize was handed out at the event for the first time, and in In 1955, the Palme d’Or award, which today is the most prestigious award at the event, was created. This award replaced the previous Grand Prix du Festival. In 1957, the first female member of the Cannes Film Festival jury Dolores del Río entered. She was the first female member of the jury for the official selection. The Marché du Film, Film Market was founded in 1959, which gave the festival a more commercial character and meant opening up the possibility of exchanges between sellers and buyers in the film industry. Today, the Cannes Film Festival has become the number one international platform for film commerce. The International Critics’ Week, created by the French Union of Film Critics was born in 1962. The goal of it was to showcase first and second works by directors from all over the world, while at the same time not succumbing to any commercial tendencies whatsoever. In 1963, Jean Cocteau, a man that hat played an important role in the success of the film festival, died, and on the same year, the festival paid homage to him, and he was named Honorary President for life. At the same time, Olivia de Havilland was named the first female president of the jury in the history of the event, and on the following year, Sofia Loren became president of Cannes Film Festival. The Cannes Film Festival faced challenges int he year of 1968, and on the 19th May of May, the festival halted. The reason was that a few directors, including Carlos Saura and Miloš Forman, had withdrawn their films from the competition. Louis Malle, along with a number of directors took, on the 18th of May over the large room of the Palais and interrupted the projections in solidarity with students and labor on strike throughout France. This was also done in protest to the eviction of the then sitting President of the Cinémathèque Française. This action was successful, and lead to the reinstatement of the President. On the same year, he also founded the Film Directors’ Society (SRF). On the year of 1969, the SRF, with the lead of Pierre-Henri Deleau created the Directors’ Fortnight. This was a new, non-competitive section which programmed a number of selected films from all over the world. These were distinguished by an independent judgment. During the 70s, the Cannes Film Festival went through major changes. In 1972, Robert Favre Le Bret was named the new President of the festival, together with Maurice Bessy as General Delegate. These changes of the event helped overcome censorship issues of filmmakers in their own countries, including directors and film-makers including Tarkovski. A huge change of the way the event was set up was that until now, the films selected to be represented had been chosen by the country, thus leading to great censorship, but this was now abolished. In 1972, Bessy created a committee dedicated to select French films, and another committee to select foreign films. Gilles Jacob got the position as the General Delegate in 1978 and introduced the Caméra d’Or award. This award was created to identify and reward the best first film of any of the main events, including the Un Certain Regard for films in the non-competitive categories. More changes were made to the Cannes Film Festival which included the decrease of the length of the festival down to thirteen days. This meant reducing the number of selected films. Furthermore, previously, consisted of film Academics, but now, Jacob started to introduce and welcome more celebrities and professionals from the film industry as well. In 1983, a major change of the event took place. On that year, a new and much bigger Palais des Festivals et des Congrès was built, for which the event would be hosted in. The Directors’ Fortnight, however, remained in the old building. The new building for the Cannes Film Festival was nicknamed “The Bunker”, something that provoked a lot of criticism. This was especially since the building was hardly finished at the time of the event, and many technical issues occurred mid-festival. For the first time in the history of the Cannes, in 1987, a red carpet was used at the entrance of Palais des Festivals et des Congrès. The red carpet is today one of the most iconic elements of the festival and is closely associated with the film festival. During the first Cinéma & liberté forum In 1989, one hundred film directors from numerous countries all over the world signed a declaration “against all forms of censorship still existing in the world”, thus using Cannes Film Festival as a tool for less censorship. In 1989, Gilles Jacob created a section of the Official Selection by the name of Cinéfondation to support cinema works from all over the world with the goal acknowledging new scenario writers in the circle of the celebrities. In 2000, the Cinéfondation was completed with La Résidence. Here, young directors could refine their writing and screenplays. This foundation helps fund twenty films of directors per year through the L’Atelier. In 200, Gilles Jacob was appointed the prestigious title of Honorary President, and in 2002, the Festival officially took the name Festival de Cannes – Cannes Film Festival, which you know it by today. As the festival reached the 2000s, it started focusing more on the technological advances which were taking place in the film world as technology evolved. This especially included the digital techniques. In 2004, the restored historical films of the Cannes Film Festival were presented under the title of Cannes Classics. These films were documentaries. Thierry Frémaux became the General Delegate in 2007, and in 2009, he extended the Cannes Film Festival in Buenos Aires, under the name of La Semana de Cine del Festival de Cannes. Furthermore, in 2010, he founded the Cannes Court Métrage, which was a new short film category where shortfalls could compete. The festival director Fremaux is especially known for having banned selfies on the Red Carpet of the Cannes Film Festival back in 2015. As we move closer to the present day, in 2017, the film festival celebrated its 70th anniversary. The anniversary included the change of the rules on theatrical screening, which caused controversy. As a result of the enforcement of theatrical screening of Cannes Film Festival, the video streaming service Netflix and celebrities and actors playing major roles in movies only showcased on Netflix being banned. What are the awards of the Cannes Film Festival? During the Cannes Film Festival, several awards are handed out. The most prestigious and important event of the film festival is the Palme d’Or, which is an award handed out to one of twenty movies that are competing in this category, all hand-picked and invited. Furthermore, there’s the Un Certain Regard award. This is yet another prestigious award which celebrates young and innovative talent. The Cannes Film Festival ceremony also hands out a number of awards, including Best Director, Best Actor and Best Actress. The winner of these awards is chosen by the jury from the movies that are competing for the Palme d’Or and Un Certain Regard awards. 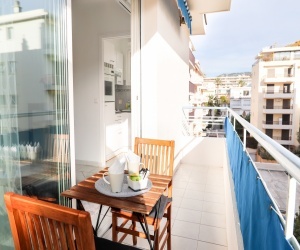 View On AirbnbNew Apt 2 min from Beaches and Croisette Cannes ! This is the main event of the whole film festival. Here, twenty films compete for the most prestigious award of the whole event, and for one of the most prestigious movie awards in the world, the Palme d’Or. The films competing are projected in the Théâtre Lumière. In the Un Certain Regard, twenty films are selected from all different cultures and countries. Both original and other various works. These films are projected at the Salle Debussy. Then there are numerous films that are showcased in theThéâtre Lumière but aren’t competing for the main price. The event has a ”special screenings” program where a selection committee chooses films these films that have an environment specially adapted to their particular identity. At the Cinéfondation, roughly fifteen short and medium-length motion pictures created by schools from all over the world are showcased at the Salle Buñuel. Furthermore, there are the shortfalls of the film festival. These are films that are competing for the Short Film Palme d’Or and are presented at Buñuel and Debussy theatres. Generally, there are about 10 films that compete within this category. There’s also the Cannes classics, as mentioned earlier, which celebrates the heritage of film and filmmaking, which has the goal of highlighting the film works of the past. These are showcased with completely new, or restored prints. The Cannes Film Festival also has something called Cinéma de la Plage in its programme, which is a screening of Cannes Classics and Out of Competition films which can be seen by the public as they are showcased on Macé beach. These also include a special programme which is dedicated to film music. Apart from this, there’s also a parallel section of the festival’s programme. These are films that are non-competitive, and more focused on showcasing and presenting other aspects of cinema. You’ll also be able to experience the International Critics’ Week which has been arranged since 1962. This focuses on identifying and recognizing new directing talents within the film industry from all over the world. As such, it showcases first and second feature films. The Directors’ Fortnight is part of the non-competitive programme of Cannes Film Festival and has existed since 1969. This is focused on avant-garde films. Moreover, the Tous Les Cinémas du Monde showcases the diversity of film from all over the world, and during this programme, one country is invited to present a number of films with the purpose of representing and highlighting its unique culture. Every day, a new country is entering the screen. Caméra d’Or is a ”category” which rewards the best first film of the festival, and in choosing a winner, the work of debutants are gone through among the Official Selection. Lastly, we have the ”other sections” which includes works that are produced by outside organizations which are showcased at the Cannes Festival. This section includes a number of different ”categories” which are ACID (Association for Independent Cinema and its Distribution), Marché du Film , which is the busiest movie market in the world, Masterclasses, which are classes given by the world-renowned filmmakers, Tributes, which are held to honour internationally renowned artists with the presentation of the Festival Trophee, which also follows the screening of their films, producers Network, which is a tremendous opportunity for people within the industry to make international co-productions, and exhibitions, where one artist each year showcases a work according to a cinematographic theme. The president of the Cannes Film Festival event is elected by the board of directors, which go by the name of “French Association of the Film Festival”. The board of association consists of authorities within the cinema industries, as well as other public authorities a public which subsidizes the event. The president of the event has a 3-year mandate which is renewable. It is also possible, but not given, that the president of the event becomes the Honorary President of the Festival. The General Delegate is responsible for coordinating the event. Gilles Jacob previously owned the title, but he then passed from General Delegate to the position of the President. To take over this post, two new positions were created in 2001. When there is a competition, there needs to be a jury. The film festival has several juries that are focused on different calories, and each category consists of several individuals. Before the beginning of each year and the start of the festival, the board of directors appoints the juries who are to carry the responsibility for choosing the films to be awarded. The jurors are chosen from a large selection of individuals who are in one way or another associated with the cinema scene or artistic industries. This includes international artists which are then based on their work. For feature films, an international jury is composed of a President and then a number of films and/or art personalities. These are to determine the prizes for the feature films that are competing. In the Cinéfondation and Short Films competition, the jury is composed of a President and four film personalities. This jury is meant to award the short film Palme d’Or, and also identify the three best films of the Cinéfondation. Then there’s the Un Certain Regard. This is composed of a president (of course), and then journalists, students in cinema, and other industry professionals. This jury awards the Un Certain Regard Prize for best film, but it can also moreover, honor two other films if there are more honorable films than 1, as there can be only one winner. The Caméra d’Or jury is that too composed of a president, and then film directors, technicians, and French as well as international critics. This jury award the single best film in any category. This jury meets at the iconic Villa Domergue even year before the Cannes Film Festival to select a winner. The 2018 Cannes Film Festival is the 71st edition of the festival. Just like every year, the event takes place in Cannes, France, in Palais des Festivals et des Congrès. The event takes place from the 8th of May to the 19th of May. For this year, the President of the Jury is the Australian actress Cate Blanchett. The movie selected for the opening is Everybody Knows, a psychological thriller by Asghar Farhadi, starring Javier Bardem, Penélope Cruz, and Ricardo Darín. It will thereby be the second Spanish-language film to open Cannes Film Festival. The created official poster for the event showcases Jean-Paul Belmondo and Anna Karina which starred in Jean-Luc Godard’s film Pierrot le Fou from 1965.